My work recently moved offices, placing me about five minutes away from a big shopping centre - super handy if I need to grab something from the shops quickly, but not so good if I'm trying to save money! Anyway, I was walking past New Look, trying to avoid actually going in, when I saw the cutest watermelon clutch bag in the window. They didn't have it in stock, so I tracked it down online, realised it had been out for AGES (I am so late to the party), and discovered that there was a whole world of fruity goodness out there. So, this is an excuse to gather up all of the super-cute, probably-shouldn't-be-worn-at-the-same-time, fruity things that you can buy right now. I want them all! Love those nail decals. So cute! That's a literal kiwi shirt! Love it!... I'm in love with this wishlist! 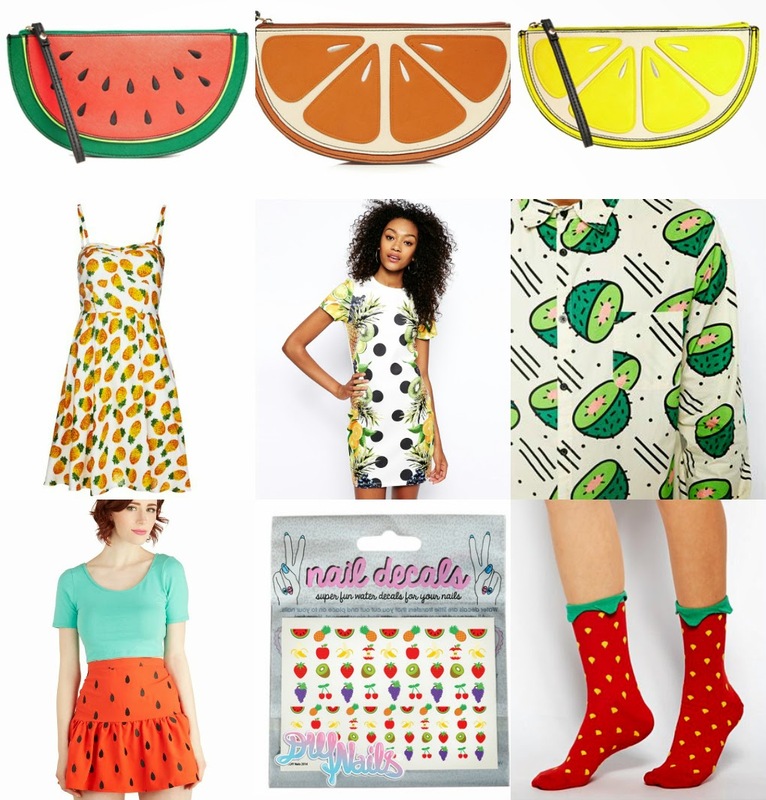 I'm into pineapple print big time, but I'm loving all the different fruit prints a bit more now! aghhhhhh SO many good things- Hello kiwi shirt and strawberry socks!